The Twin Organizer by Nomess is an acrylic storage box with two compartments. 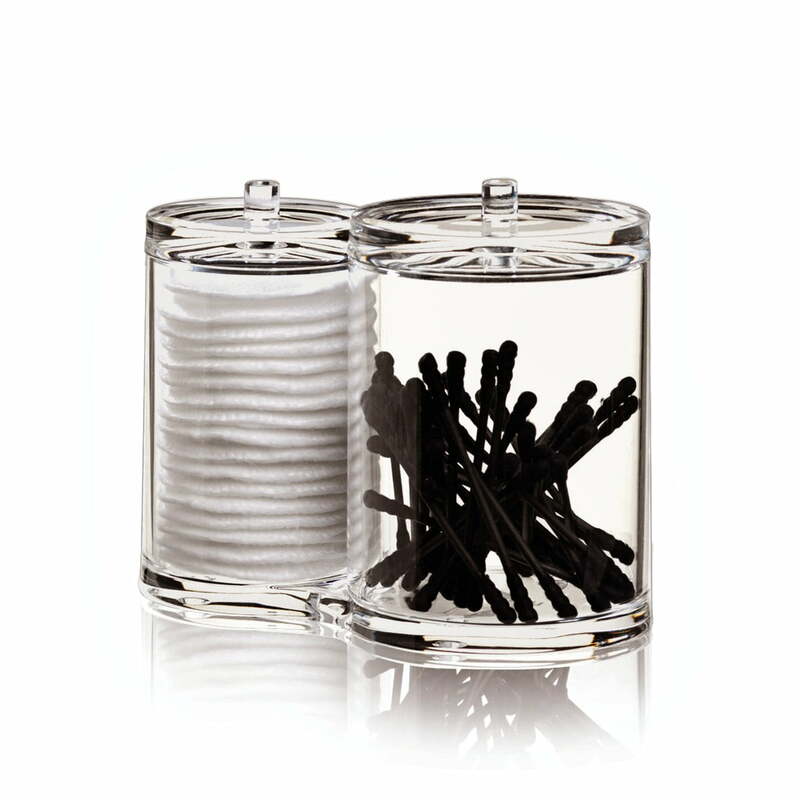 The transparent boxes hold cotton pads and small office accessories as well: pins, clips or rubbers. This is how the acrylic boxes aren't only practical storage boxes in the bathroom, but on the desk as well. Several acrylic boxes of the Workspace and Bath collections by Nomess are easily combinable. Looks like is made out of glass, but is actually a very clear plastic. Nice quality. Do note that they are connected and can't be individually separated.